It is therefore really important that you ask the right questions at interview to determine this for yourself. 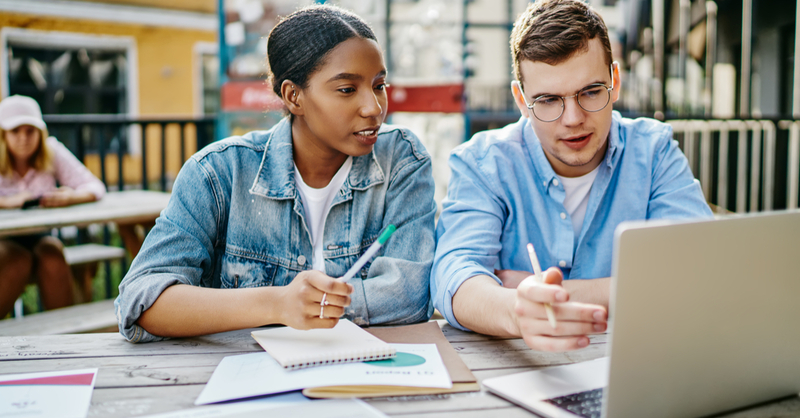 This handy list contains essential questions to ask your prospective interns and how the answers can help you determine who is the best fit. This question is a great opener and gets straight to the point. It demands that the interviewee knows about the role they have applied for and can select good reasons for their wanting to do it. It also shows they are motivated and have researched the role. Their interest and research will indicate whether they're likely to quit, or not make the most of the opportunity if they are successful. What would you most like to get out of this internship? Asking this sort of question where the candidate has to prioritise a single answer from what is probably a large selection is more about how they can prioritise and quickly assemble a good logical and coherent answer than what they actually respond with. It demonstrates how the candidate can deal with pressure and quickly formulate a response that makes sense and is appealing to you. This question demands a candidate narrow down what is generally a lot of achievements to select one. In doing so they need to justify to you why this one is the most significant and therefore the one they are most proud of. Whilst this question indirectly targets skills that are not explicit in the question, you as the interviewer still need to listen to the answer. Some might be more relevant and applicable to the internship role you have than others. Look for the transferable skills their achievement demonstrates and ask yourself if they will be useful in the internship. Tell us about a time that you have had to compromise your personal goals for a project? This is a really important question for gaining insight into your prospective intern’s interpersonal skills. You are giving the interviewee the opportunity to show you how they will function within your team. The best applicants will demonstrate that they can stand up for ideas that are the best ones but they also know how to prioritise their own preferences versus other peoples’ in order to make sure a project is a success. This question allows you to see how self-aware the candidate is. 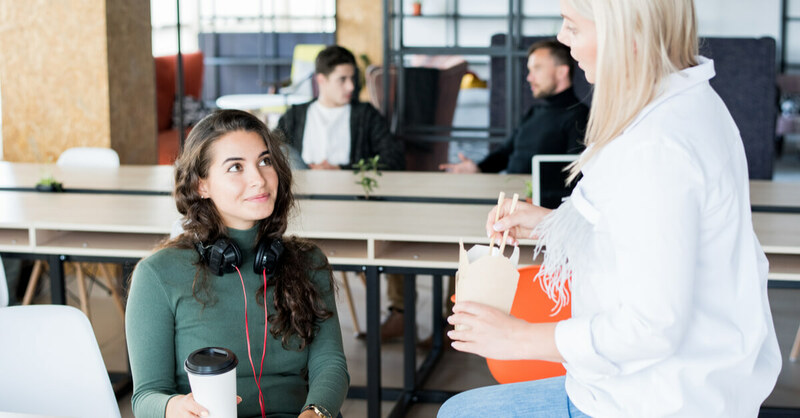 Self-awareness and an understanding of how the world perceives them will be very important for your intern to function well within your company. This question is direct but also offers another aspect of insight because the interviewee has to think about how to present their weakness so that it is clearly a flaw, but that they have taken action to adapt their behaviour to minimise it. What is a unique contribution you can make to this internship? This question gives the candidate the opportunity to demonstrate their self-awareness. It also shows that the prospective intern has done their homework and has an idea of how they are going to fit in. These two aspects of the question are both important. The question allows the applicant to show off due to it being so open-ended. What strategies do you use when you have multiple projects to complete? The applicant’s response to this question can offer insight into their effectiveness at multi-tasking and how much you will be able to rely on them not to need their hand held the whole time. A good response will include examples of times they have had lots of deadlines or other bottlenecks in their schedules and must obviously answer the question outlining strategy. Tell me about a time you experience failure? This question is definitely less about the specific failure and more about how the candidates dealt with it and moved on. It’s essential when you higher an intern that you know if they make a mistake they’ll be able to pick themselves up, dust themselves off and keep going. Failure and overcoming it is an essential experience and using it positively to learn is the sign of a really effective individual. The candidates answer to this question will show their ambition, their motivations and what they are looking for from work. It is important that the dream job is a natural progression from the role you are advertising for. If it is not, then the candidate will not properly value the opportunity and make the most of it. When was the last time you worked in a group, how did it go? This illustrates how your intern works as part of a team. It is really useful and they should have plenty of examples from university coursework, extra-curricular activities or part-time work. These are all acceptable sources for examples. It is essential that the person’s attitude as part of their group-work experience is one that you can imagine fitting with the environment in your team. Describe a time when you took part in a project that included people from different backgrounds? This question targets how the candidate will handle projects with several different stakeholders and the pressure this brings. Their answer should demonstrate good negotiation and balancing of priorities. It will also highlight their ability to lead and their ability to evaluate other people’s preferences. What do you think good leadership is? This question gives you an idea of the potential of the intern as a leader. It’s worth remembering that you might want to keep them on and with expansion you might need them to step up as a manager in their future so leadership is useful. The qualities of leadership will help them in their role as well when you give them projects to manage or customers and clients to handle. The answer should not include archaic ideas of leaders who dominate, rather ideas about creating positive, productive and open working environments; and healthy workplace culture. Tell us about a time that you set challenging goals for yourself? This question is open-ended and gives the candidate the opportunity to show off a bit. It also lets you get an insight into what their work ethic might be like and how they deal with achieving goals. In general, you want to try and target goal orientated employees as they are the most motivated and will give you the best return on training. You want to see that the example they use demonstrates the appropriate calibre of ambition you want from an intern. Interns might face customers, come into contact with clients or contractors and will generally have to represent your company. As such you want them to have a familiarity with its role, your company’s place within the sector, it’s aims and ethos; or at least the enthusiasm to learn this. The candidate who has an interest in the company and all of the above will always make a better intern. This question also reveals the candidate’s preparation for the interview and thus their motivation. You should also give the candidate the opportunity to ask you questions about the company. 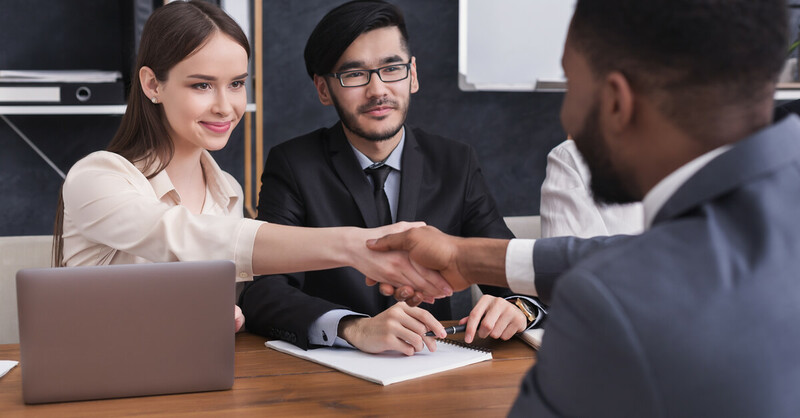 This might seem like a simple common courtesy but it is actually one of the most important parts of your interview process. It provides a really good insight into their motivations and personality. Especially for Internships where the applicant has little experience you would expect them to ask questions. Unless your interview has been extremely long and thorough you won’t have covered everything that they want to know. The questions they ask will reveal something about the way they handle themselves on the placement. The best responses will be insightful, clear and confident. These questions should help you to find the best intern for your company. They sort the less committed from the motivated, and the genuine interest from the blanket application. 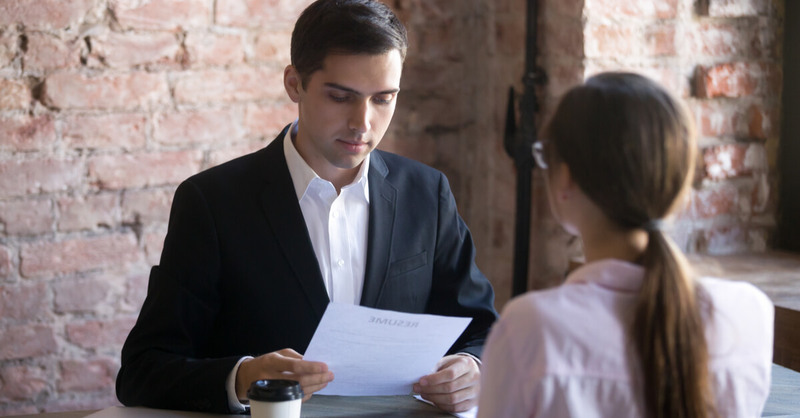 In addition to the questions above it is also really important that you remember to give your applicants a time at the end to tell you anything they might feel they haven’t been able to talk about during their interview. This should not be considered something they have to reply to but rather offers you an insight into what the applicant thinks is important about themselves. Interns are a hard bunch to sort but with this list of essential questions, you can find the best one.